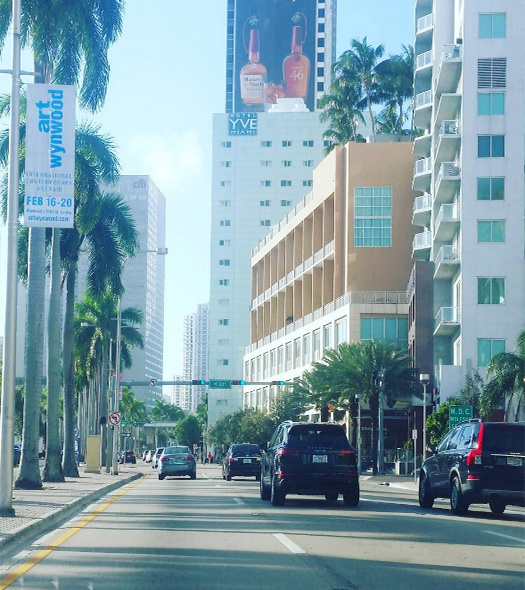 Where are the best places to stay when visiting Miami? There are a vast amount of options. I’ve worked in the Miami tourism industry for a while now, and I think the best way to go about choosing a place to stay is to think about what kind of experience you want, where your preferred neighbourhood is, and how much you want to pay. This will help you make the best choice for you. Vintro Hotel and Kitchen in Collins Park, South Beach is a chic refurbished hotel, which pays tribute to its Art Deco roots. Up top on the roof, there’s a deck and pool, as well as an onsite restaurant. If privacy is your priority, then check out The Anglers on Washington Avenue, South Beach. There are around 50 rooms and duplexes – some with private hot tubs and pools. Sense Beach House is an environmentally friendly boutique hotel with just 18 rooms in the SoFi district. As the name suggests, the style is relaxed beach house. There’s a rooftop terrace with views of the city, and each room has a flat screen TV. The location is just steps away from the beach, shops, restaurants and galleries. 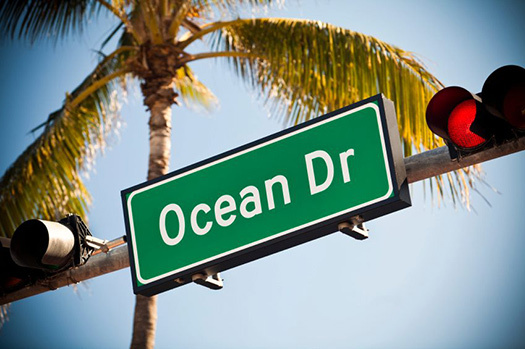 Hotels on Ocean Drive, Miami. 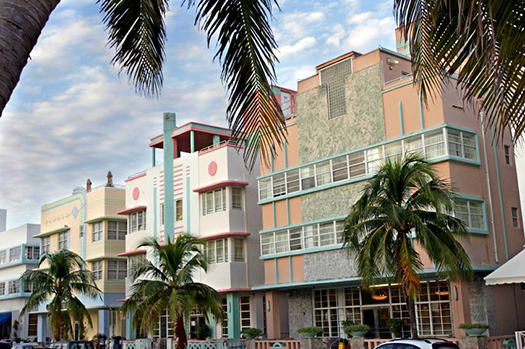 Hotel Victor - a 91 room redesigned Art Deco style hotel right in the middle of thriving Ocean Drive. It has a pool, spa, candy shop and awesome views of its surroundings. The Betsy is on the quieter end of Ocean Drive and is an art deco ‘colonial’ style boutique hotel with 62 rooms. It’s quite rare in that it offers jazz evenings and literary events. The rooftop garden with ocean views is very special. Tides, South Beach is at the top end of Ocean Drive, and its just steps from the Atlantic Ocean. Each room has an ocean view in this Art Deco hotel. The style is very much spacious, bright and minimalist. The huge Fontainbleau Hotel is more resort than hotel, and it offers a real Miami experience. There are 1,500 rooms here. All the pools have an ocean view. There’s access to the beach, a spa, nightclub and around 12 bars and restaurants. The Gale Hotel, located on Collins Avenue is a chic 87-bedroom hotel all with spa inspired modern bathrooms and an award winning in house restaurant. There’s also the Loews Miami Beach Hotel, which is a family friendly hotel on Collins Avenue. It’s location means visitors are right in amongst all the action of South Beach. There’s a lagoon style pool, spa, seafood restaurant and an ice cream shop for the children! Away from South Beach, downtown Miami offers a different experience. It’s a popular part of Miami that has a lot of well-liked clubs and bars. YVE Hotel Miami is located in downtown Miami and overlooks Biscayne Bay. It’s 15 minutes in a car away from South Beach. It’s an affordable and friendly option that offers a good experience of Miami. ME Miami – another downtown offering that’s not far from some of Miami’s best cultural and entertainment highlights. It has all the amenities you’d expect – with a bar, spa, pool and gym – and it is friendly and affordable. The rooms are stylish and spacious. The New Yorker Boutique Hotel, which is situated on Biscayne Boulevard. It is an ex Motel that has been upgraded to a Hotel. The rooms are more basic than others we’ve described here, but so are the prices. 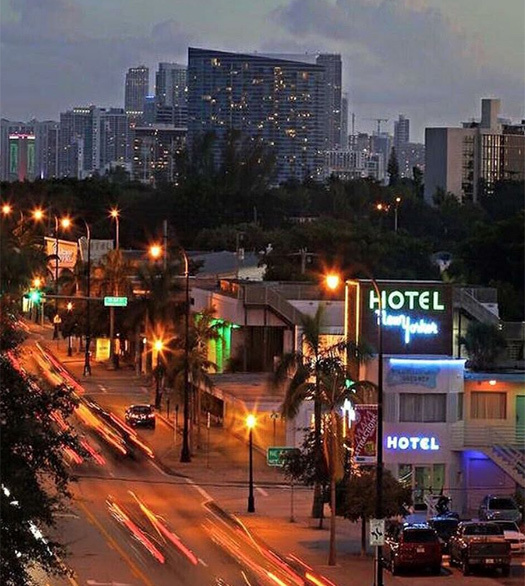 In South Beach there’s the Whitelaw Hotel and Lounge – another boutique hotel offering, at a very affordable price considering its Collins Avenue location. The rooms are large and comfortable and the hotel is right next to all the main attractions of South Beach. The selection of accommodation is vast in Miami. This blog could have gone on for days if I were to cover it all. Hopefully you can see that there’s something for all tastes and budgets. You just need to think through what is important to you. We are sightseeing experts on Miami and we’d love to help show you around. Whether it is tours of Miami, the Everglades, Key West or Biscayne Bay, or even transferring you from airport to hotel and back again, get in touch to see how we can help you out. I’m looking forward to meeting you soon on one of tours in Miami. In the meantime, enjoy planning your trip!